In the first of what will be many posts highlighting what project-based learning looks like across the country, I’d like to share one example that blew my mind when I was out at High Tech High in San Diego back in March. Imagine that moment in a classroom or a hallway or on the street when you see something and think “I wish I could do that! That would be awesome!” At High Tech High School, this stuff happens. All. The. Time. Fifty-two students got together and, with the mentorship of three teachers, came up with the idea to create a Kickstarter and get a food truck. They spent seven months in committees creating a business plan, pricing out operational costs, writing pitches, filming promo videos, getting their food-handlers’ permits, speaking to their community, and anything else necessary to make the typical student’s pipe dream become a reality. The truck arrived at HTH back in March and these were some initial photos! More available on their Kickstarter update page. Moreover, the food truck, called Reel Delicious, has a movie theme and a focus on cultural education. The truck has a flat-screen TV mounted on the side to screen movies and a projector to screen cultural, independent, and original films. They want to partner with film festivals and share their story and food at similar events. They’ve got a team devoted to marketing and PR and are planning ways to retain customers past the initial launch. Food truck selfies for all! 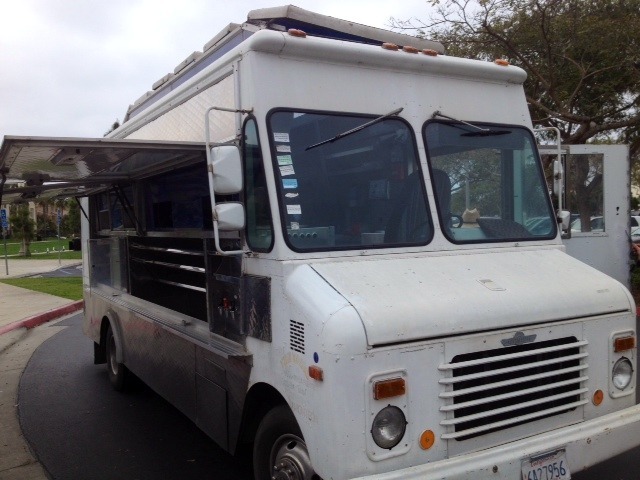 When I was in San Diego, I ate at the truck and chatted with some students about their experience. I’m far from an expert on the project, but it’s obvious that all students had a role – some were leaders, some played key logistical roles, and some were more and less involved than others. But, they all were part of the final product and their experiences will stick with them for a long, long time. But wait – this is great and all, but what about standards, content, etc? Whenever I hear about one of these grandoise projects, I think the same thing. But look beneath the surface – students are writing business plans based on the varying demands of their audience and the task at hand, constructing a viable argument to convince investors, modeling their anticipated sales data, using technology an digital media strategically, and part of their mission is to help others understand other perspectives and cultures. Half of the last sentence is bolded because that language is taken directly from the Math and English CCSS. What’s project-based learning? Learning by doing. Stay tuned for more, friends. 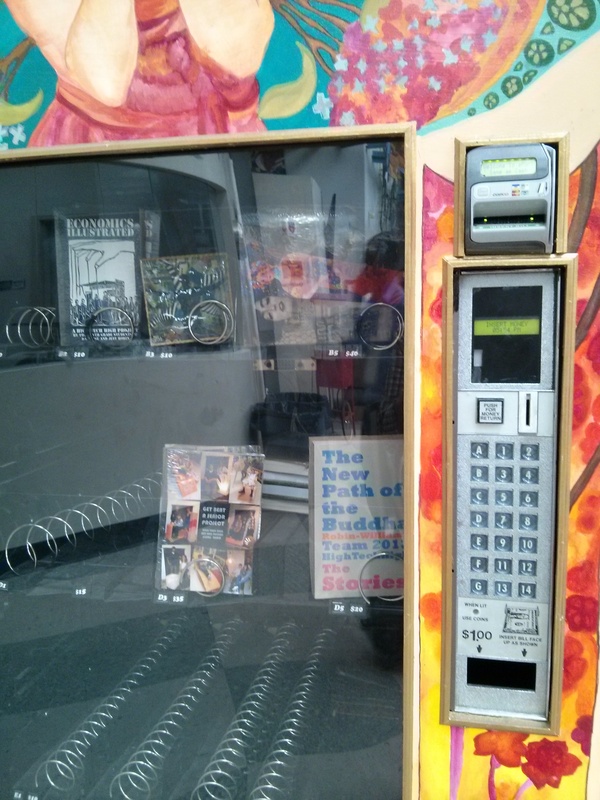 Another project I saw at HTH – a student project to repurpose this vending machine and fill it with student-created literature. Image | This entry was posted in Outside GHS, What is PBL?. Bookmark the permalink.